These cabinets were custom made to accommodate the one piece sink. The doors are taller than standard and the kick boards lower. 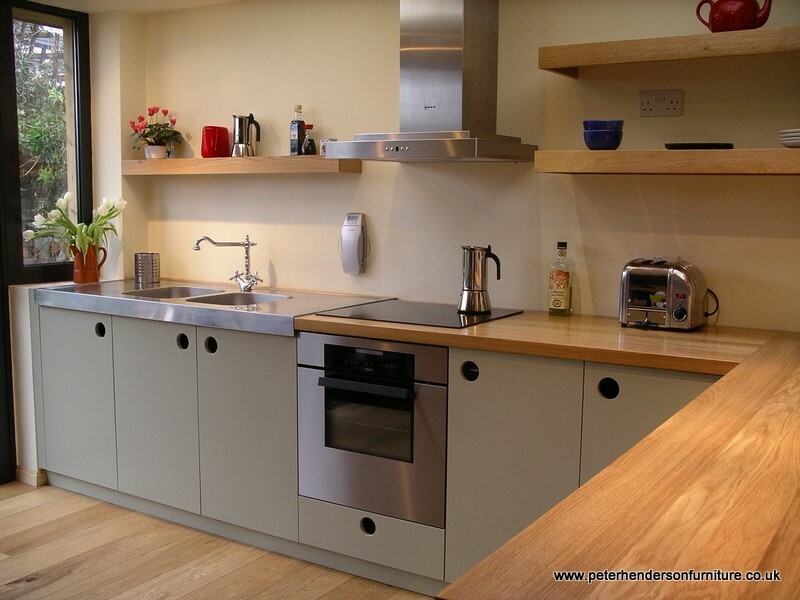 The cabinet widths are also non standard to maximize the use of space in this new kitchen extension. 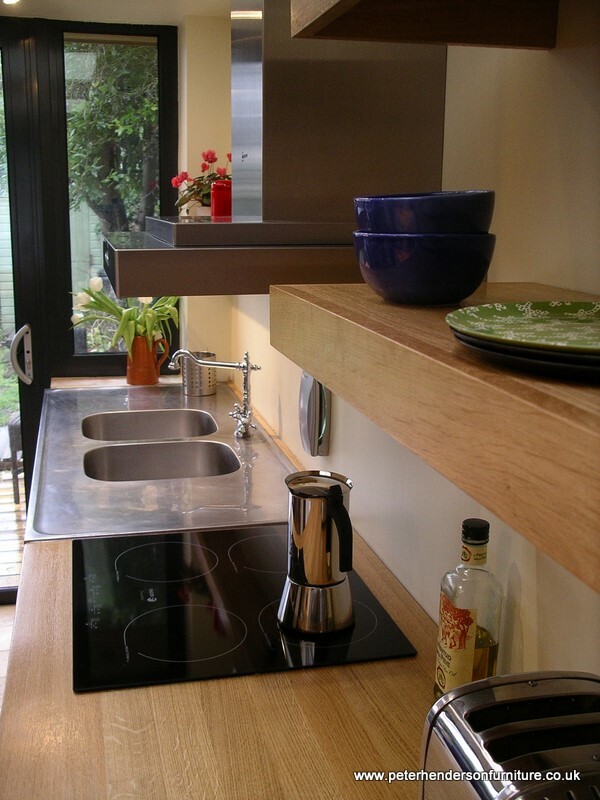 The floating shelves were made from the same long oak planks as the worktops.